loreical – We help musicians to improvise better. Type in any chord progression via our intelligent keyboard. We developed it from scratch to be very fast and easy to use. Fed with the complete knowledge of music theory, our algorithm understands the math behind the music. It calculates the key(s) and harmonic functions of the chords. Start jamming to your chord progression. loreical suggests fitting pentatonics, scales and arpeggios. Change the results with the "configurator" to make it more challenging – or easier. Be able to improvise over ANY chord progression, no more avoid-notes. Even if you are a pro player: new approaches and various solutions will spice up your improvisation. Stay hungry! Fed with the complete knowledge of music theory, our algorithm understands the math behind music. It calculates the key(s) and harmonic functions of the chords. Start jamming to your chord progression. loreical suggests fitting pentatonics, scales and arpeggios. Change the results with the “configurator” to make it more challenging or easier. Are you eager to improve your improvisation skills? Increase your scale repertoire in a “hands-on” way? Learn how music theory and harmonic analysis works in action? Just type in the chords of a tune you want to improvise to. loreical will show you which pentatonic, scale or arpeggio you can play at what time in the tune. The knowledge of years and years of studying music theory is now at your fingertips. Your improvisation will improve on the spot and your audience will hear the difference in your play immediately! Create your songs with loreical or import your songs from iReal Pro to get your very individual analysis whenever you need new inspiration. Speaking of new inspiration: With the configurator-feature you can change how the algorithm works. Let it focus on optional notes to get more unusual results or favour certain scales that you like to use in your solo. Your chord progression can be played like a backing track. Instantly start jamming and set a loop to work on a specific part. If you want to look up the fingerings of a pentatonic or scale just tap on it. And if you want to know why something works so well, you can find the rules of harmonic theory applied to your piece explained in the help section. We call that: „reverse learning“. Improvise right away and learn afterwards what you just did. And yes loreical does look at the chords in context of the tune. It’s a real full-on calculation and not just giving you one and the same solution per chord. Try loreical, have a play and improvise superior – now. Are you eager to improve your improvisation skills? Increase your scale repertoire in a “hands-on” way? Learn how music theory and harmonic analysis works in action? Just type in the chords of a tune you want to improvise to. loreical will show you which pentatonic, scale or arpeggio you can play at what time in the tune. The knowledge of years and years of studying music theory is now at your fingertips. Create your songs with loreical or import your songs from iReal Pro to get your very individual analysis whenever you need new inspiration. Speaking of new inspiration: With the configurator-feature you can change how the algorithm works. Let it focus on optional notes to get more unusual results, or favour certain scales that you like to use in your solo. And if you want to know why something works so well, you can find the rules of harmonic theory applied to your piece explained in the help section. We call that: „reverse learning“. Improvise right away and learn afterwards what you just did. And yes loreical really does look at the chords in context of the tune. It’s a real full-on calculation so loreical won´t just give you one and the same solution per chord. Try loreical, have a play and improvise superior. The algorithm has 3 modes. It can focus on convenient playing, guide notes or optional notes. You can keep it simple or spice things up with more challenging results. Activate or deactive pentatonics, scales or arpeggios. Only minor pentatonics? Every church scale? Arpeggios? It’s your call. Combine and create impressive solos with unusual approaches. 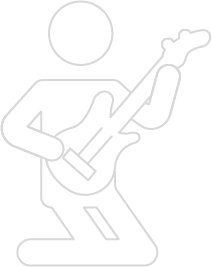 Use the playback function to instantly start jamming as to a backing track. The analysis is displayed during the playback. You can loop certain parts and change the tempo to nail down tricky sections. Import and export songs from iReal Pro via Music XML. Take a tour through loreical and get a tutorial-like introduction to all its features. For example change one chord in the middle of your chord progression to see what happens to the analysis. Sometimes the key detection is debatable. Just tap on the key to change it to the parallel or any other one. This is also useful to get new improvisation approaches and play solos in different colors. Get suggestions for your improvisation and start your solo right away. Our algorithm calculates key(s), harmonic function, pentatonics, scales and arpeggios. The loreical App is available for iOS in the Apple Appstore. Leave us your email address for updates and news! Accept Decline Learn more about cookie settings.